François-Xavier Dumortier, S.J. has been the rector of the Pontifical Gregorian University since 2010. A native of France, Fr. Dumortier joined the Jesuits at age 25 and was ordained a priest in 1982. Prior to being appointed rector of the Gregorian, Fr. Dumortier was a philosophy professor at Centre Sèvres, where he was also rector from 1997 until 2003. 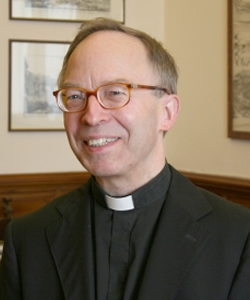 He was superior of the French province of Jesuits until 2009.